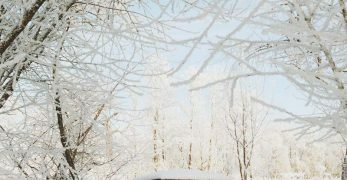 My husband and I were sitting around the table in the church gym one Sunday morning waiting on our class to start. But while we were waiting, we struck up a conversation with another couple we had never really spoken to before. So when the topic turned to homesteading needless to say we were stunned. We hadn’t met anyone in our class that were homesteaders up until this point. However, we were even more shocked when they told us they were beekeepers. I had always wanted to keep bees but hadn’t had the courage to make that kind of investment in something I didn’t know much about at the time. Never did I dream that they’d give us a hive to test out for a season. Oddly enough, my husband (who was the skeptic) got hooked and we’ve been keeping bees ever since. 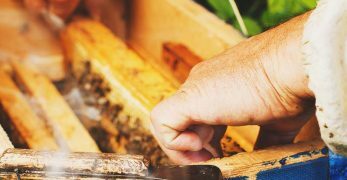 So if you are considering getting into beekeeping you first need to know what it requires. Obviously, doing your research is a benefit. Hives are where the bees live. You will need to do some research to decide which type of hive you’d like to have. 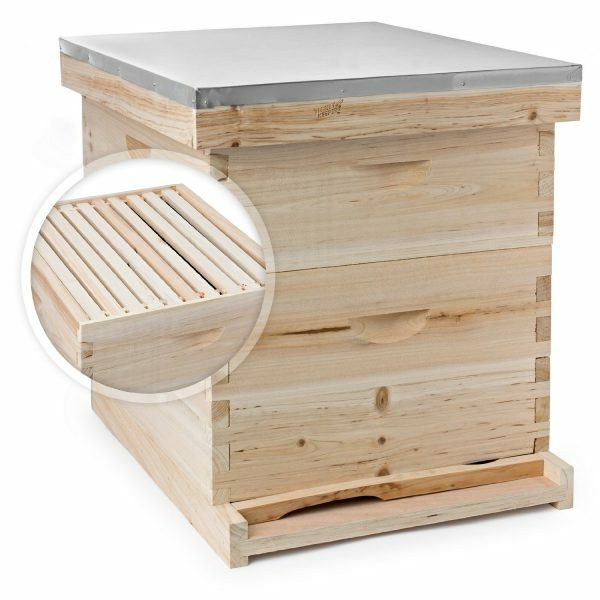 I personally use Langstroth hives, but I hope to try out a Top Bar Hive sometime soon. 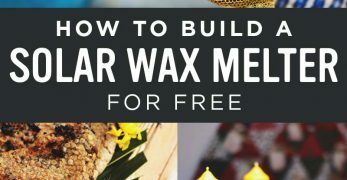 So you’ll need to decide if you are going to keep bees as a hobby or try to morph them into a business for your homestead. This will determine what type of hive you’d like to use. 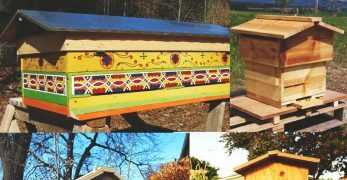 You can purchase your bee hive here, or check out this great article about DIY beehives. Frames are rectangles that hang inside of a hive like a filing system. 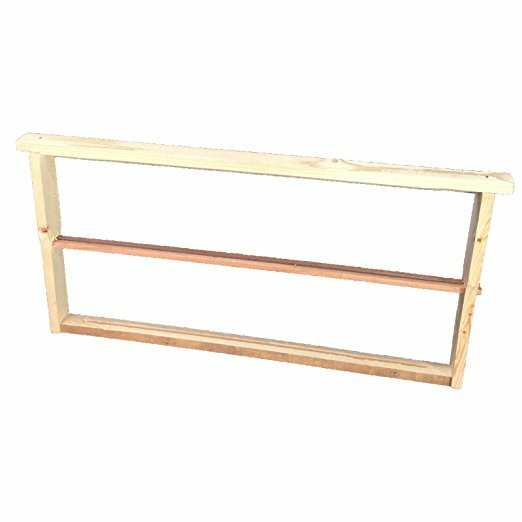 The bees will build their comb inside of these frames. This is where they will make honey, lay brood, and live their lives constantly preparing for winter. Now, you’ll need to decide if you just want to purchase frames, or do you want to purchase plastic foundation too. The only difference is if you buy the foundation for the frames it is less work for the bees which equates to more time making honey. 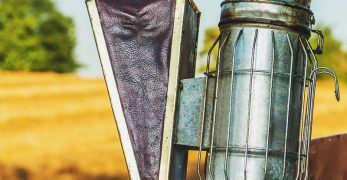 Having a smoker should be a pretty big priority if you are deciding to take on beekeeping. The reason is the bees don’t care for the smoke. So if you start squirting smoke throughout the hive, they are going to stay away from you which gives you less of an opportunity to be stung. 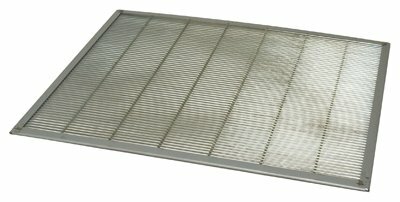 This is one of the smokers that we have and use regularly. 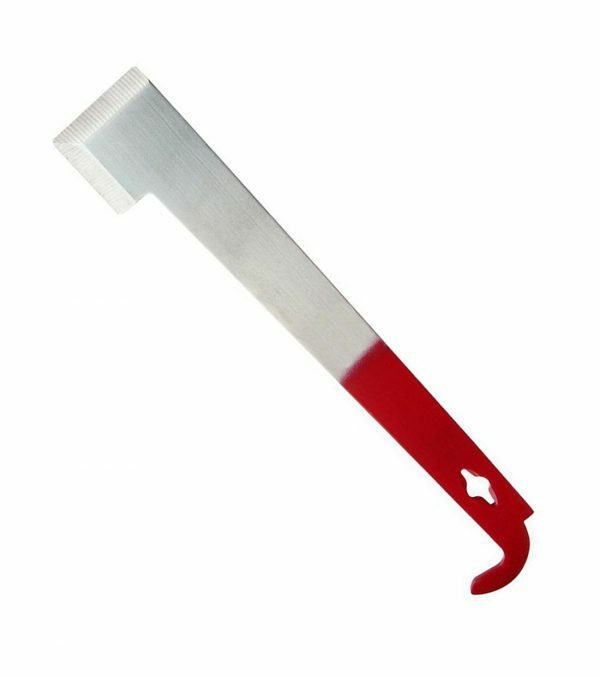 A hive tool is another very inexpensive tool but it is one I would consider a necessity. 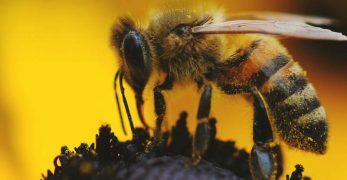 The reason is that bees line their hives with propolis. It is basically glue that holds everything together, and they also use it for insulation purposes as well. 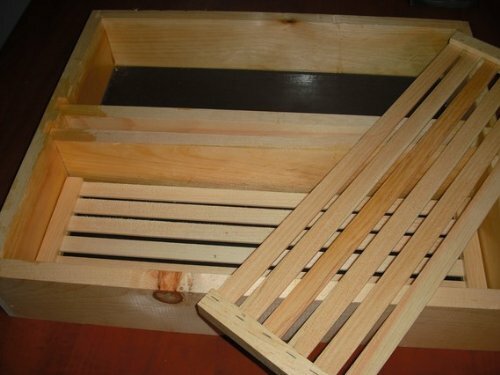 However, it is very sturdy and makes it difficult to pull frames apart and even get hive bodies apart. This is why you need a hive tool. The one I use can be found and purchased here. A queen catcher is a handy tool to have when you want to keep the queen separated for a while. A prime example of this is when you are going through your hives. Sometimes it is easier to place her in this catcher so you don’t lose her in the process. 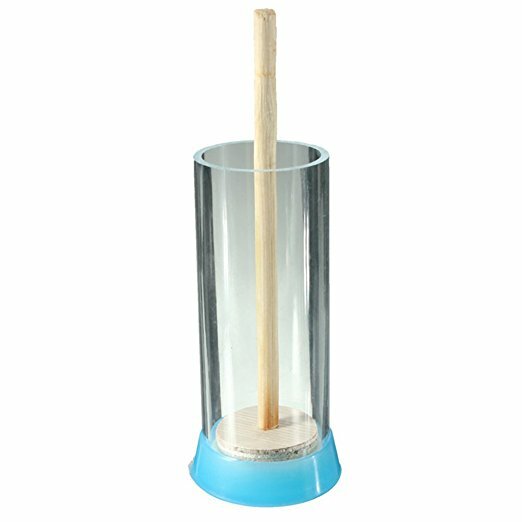 Plus, if you are catching a swarm then you would probably like to use this tool because if you have the queen then the hive usually stays as long as she does. You can purchase a queen catcher here. Your bee suit is going to be an investment. You can buy cheaper suits and that is certainly okay to do starting out. 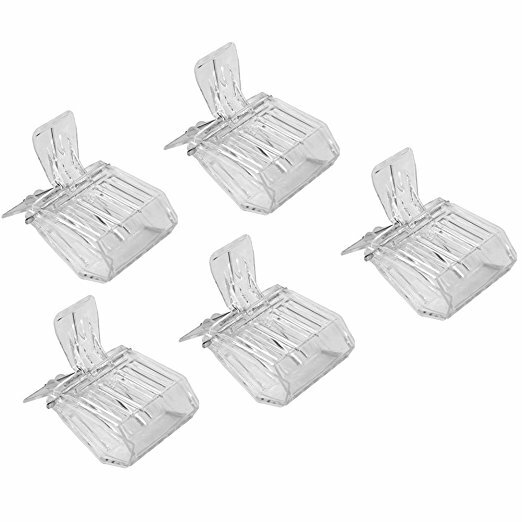 However, you will find over time that some of the higher quality suits give you a little better protection. My husband went through quite a few until we finally broke down and bought the ventilated suit. He absolutely loves it. He doesn’t sweat like he use to when going through the bees, and he hasn’t been stung since he got it. You can purchase a ventilated suit here. Gloves are another inexpensive tool but one that is also worth every penny. 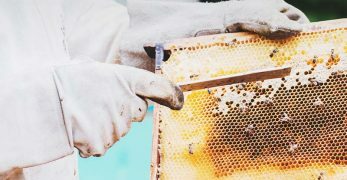 Could you imagine digging through a beehive with out gloves? Let’s put it like this, I wouldn’t want to. So when buying gloves remember that you want sturdy material because they will take the brunt of a sting for you, and you want the kind that come up your arm so your skin won’t be exposed when you are moving around. 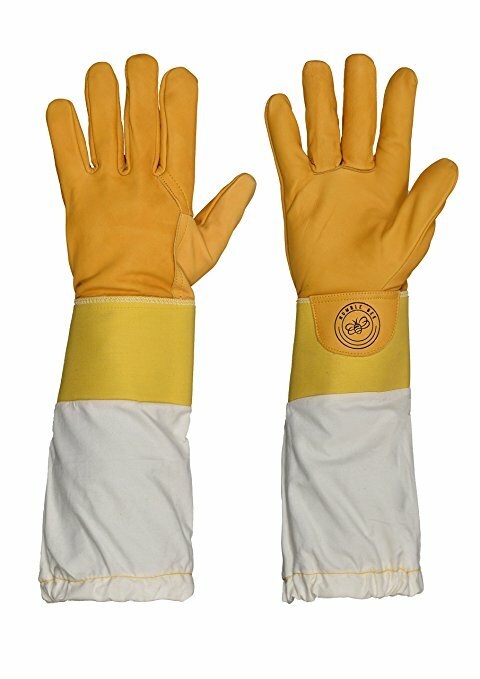 We use these gloves and have absolutely loved them. Shoes are another important part of the puzzle. Again, could you imagine digging through a beehive without having your feet covered properly? Well, I wouldn’t want to know what that felt like. So we usually use boots when we are working in our bees. My husband always wears Justin boots. He loves them so he uses them for work, beekeeping, and anything else he can think of. However, I am a fan of Hunter boots. I love the way they look, and they do a great job at protecting my feet. But either way, just make sure that you have shoes that are made of a hard material and have good soles on them so the bees can’t sting you through them. 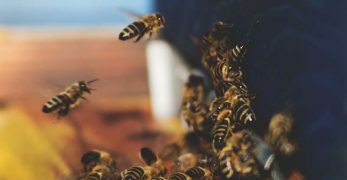 Bees aren’t vicious creatures, but if they think you are trying to attack their hive you could quickly become the enemy. We use essential oils to attract bees to our swarm boxes. 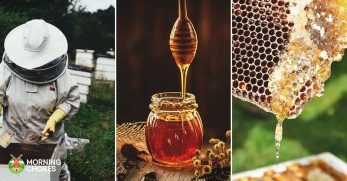 We also use essential oils in our homemade honeybee health recipe which we feed to the bees during the times of year that they need us to supplement their foraging with sugar water. Plus, you can use essential oils to help drive out hive beetles. That is a huge help because hive beetles will dominate your hives quickly if you aren’t proactive. So essential oils can be used in a lot of different ways around the hive. 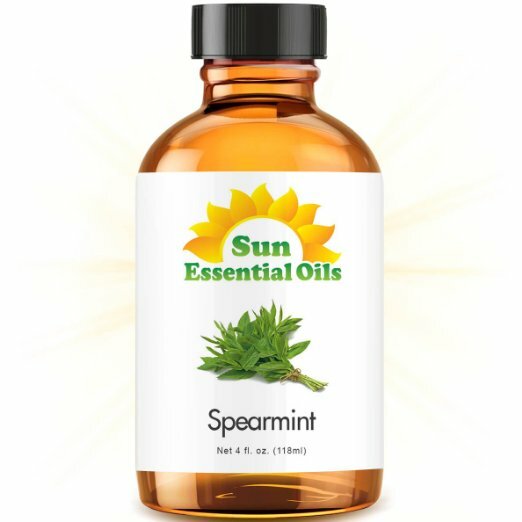 I would recommend purchasing scents such as lemon, lemongrass, lavender, and spearmint. Those are the types we use most commonly. You will need some type of feeder at some point if you are keeping bees. There are certain times of the year when things either have quit blooming or are waiting to bloom. Those are the times your bees will need you to help them supplement their food supply. However, it isn’t difficult to do. You just mix equal parts sugar and water. Then place the mixture in a feeder. You can open feed which means you leave a bucket of sugar water out for the bees. Or you can use an entrance feeder or a hive top feeder. 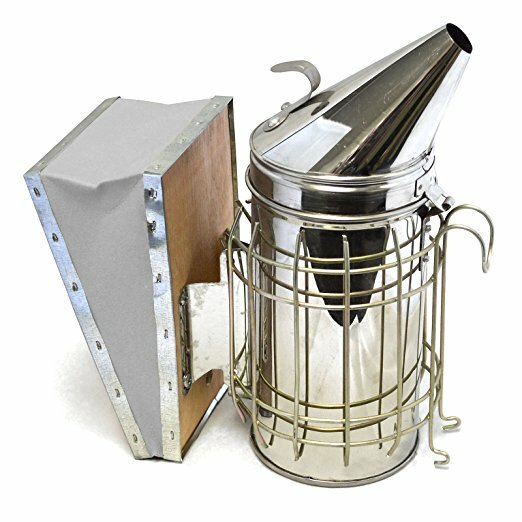 The advantages to these feeders is that they are in the hive so you don’t have to worry about other creatures robbing food from your bees. As I’ve already mentioned, there will be times in the year that your bees will depend upon you to supplement their food supply. They require a syrup that is equal parts sugar and water. So depending upon how many hives you have this could add up quickly. 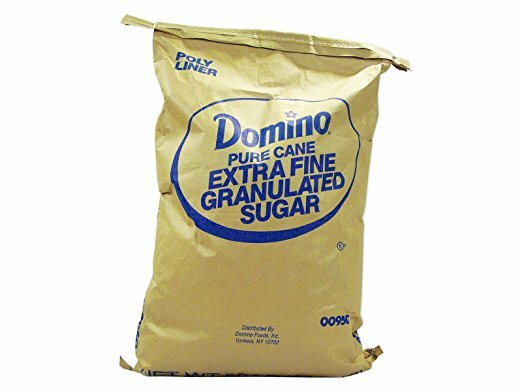 Which is why it’s important to make sure that you try to buy your sugar in bulk to get the best deal. I definitely recommend shopping around because if you have multiple hives it is going to require a lot of sugar to keep them fed. There are times with your hive that you might want to use a queen excluder. I’ll say this upfront, if you prefer to go with natural beekeeping, then you probably will not need this. However, if you don’t, then you might want it. Basically, it is a personal preference. An example of when you might want to use one is when you place a queen excluder above where the queen lays her brood to keep her from laying her eggs in the honey supers. So the point behind this is that the grated excluder is placed where ever you don’t want the queen to go. The slots are small enough that the worker bees can still fit through the slots. However, the queen cannot. So she is forced to stay below where the excluder is. Another example of when you’d use one is when you are moving your bees to a new location. You place a queen excluder in front of the hive door so the queen can’t leave. This gives your bees a great chance at sticking around. But as mentioned, not everyone uses these tools. 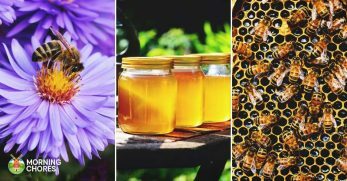 So you’ll need to decide which type of beekeeping you’d like to practice in order to decide if you need this tool or not. Marking your queen will be very helpful when you are just getting started. She can be hard to find at times. However, if you mark her hind quarters with a bright marker then you will know it is her. We learned this the hard way when we first started out. My husband couldn’t locate the queen, and we hadn’t marked her. So we just kept going through the hive, and he thought he saw her only to lose her. We lost the whole hive that year because as it turned out, he did have her and she fell on the ground. We have marked our queens every year since. This tool really helps with that process. 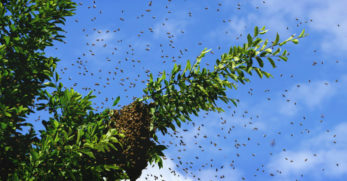 Unless you catch a swarm, you will most likely have to purchase your first bees. After that you should be able to split your hives to keep things rolling and multiplying. 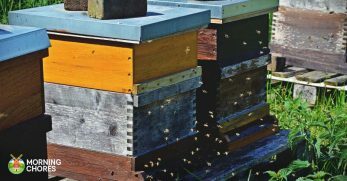 Most usually invest in a nuc instead of a full blown hive to start out. They are less expensive because there are less bees in them. However, if you lose a nuc in comparison to losing a hive there is obviously not as much loss occurring. So most decide to go with the nuc for financial reasons. They will come to you in a box like this, and you move the frames into your hive body. It is that easy to get started. If you already have a hive but maybe didn’t have such great success with it, then it might be time to requeen. If that is the case then you’ll have to purchase a queen or raise your own. Either way, she is definitely a necessary part of the whole beekeeping process. However, you’ll need to decide on what method you are going to use to raise her or introduce her to the hive. If not, the hive will think she is a threat and kill her off. So this is an important nugget of knowledge to retain if you need a new queen for your hive. Well, I hope this list helps you as you get started on this new adventure. I know some of the tools mentioned are just basic tools. While other items mentioned are living creatures that allow the whole process to work. However, my best advice is to do your research and make sure you are buying what will work best for you. 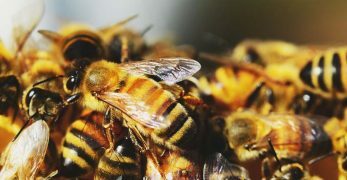 Beekeeping is a unique hobby that also enables you to make a profit if you so desire but it requires a lot of knowledge in order to be successful at it. But now that you know what I think you need to get started, I want to hear your opinion. 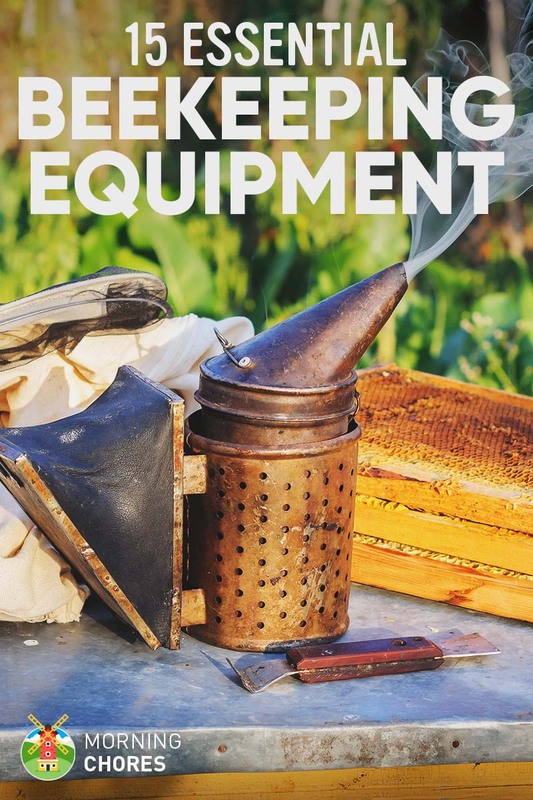 Are there any other tools you think you might need to become a beekeeper? Do any of you experienced beekeepers out there have any insight for new beekeepers? 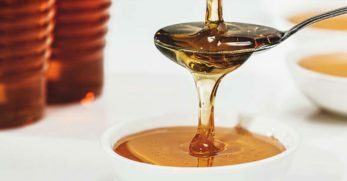 Authentic Raw Honey vs Regular Honey: What’s the Difference?